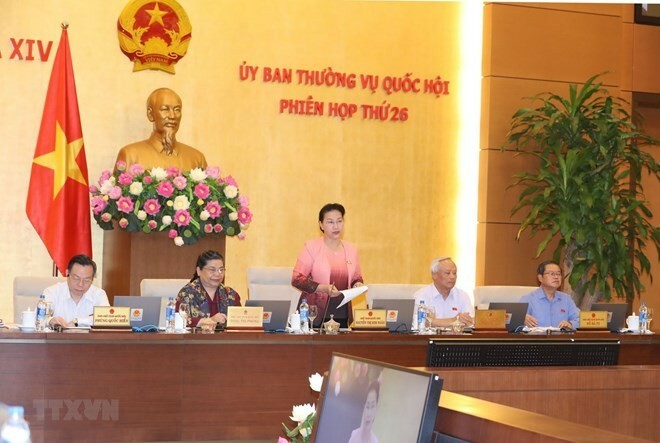 (VOVWORLD) -The 26th session of the 14th National Assembly Standing Committee opened in Hanoi Wednesday, under the chair of NA Chairwoman Nguyen Thi Kim Ngan. The deputies will give opinions on eight bills, including seven draft laws discussed at the NA’s 5th sitting. The drafted version of Law on Architecture will be deliberated at the meeting for the first time. They will examine the implementation of policies and laws on the management and use of foreign loans between 2011 and 2016. The committee will also conduct a question-and-answer session.